Welcome to A Sampling Bee! Today, I share with you Kyvan Sauces! Kyvan was founded by Reggie Kelly, an NFL Pro. Since he was little, cooking has been a big part of his life. Reggie wanted to bring his sauces into our homes because c'mon, who doesn't love a good "Down South" meal? So, he grabbed all of his family secret recipes and pitched his idea to retailers in 2011 The name Kyvan came from Reggie's children- Kyla & Kavan. Now, Kyvan Sauces are available in retailers nationwide as well as available on Amazon. Kyvan doesn't provide just sauces.. Kyvan also offers a wide variety of salsas, seasonings, jams & jellies. Sauce flavors include: Jambalaya, Sesame Garlic BBQ, Original Hot Sauce, Hot Wing, Asian Style BBQ, Sweet BBQ, Sweet Potato BBQ, Cherry Apple BBQ and Honey Apple BBQ. 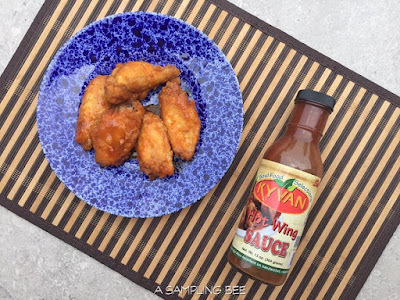 Kyvan Sauces are amazing! I was surprised by how much flavor and deliciousness! Each BBQ sauce flavor has it's own unique flavor. Some of them are sweet and some are a bit tangy. All perfect for my BBQ loving palette. Out of all of the BBQ sauces, my favorite is the Sweet BBQ. My husband and I smoked brisket on the grill so we had something taste the sauces with. 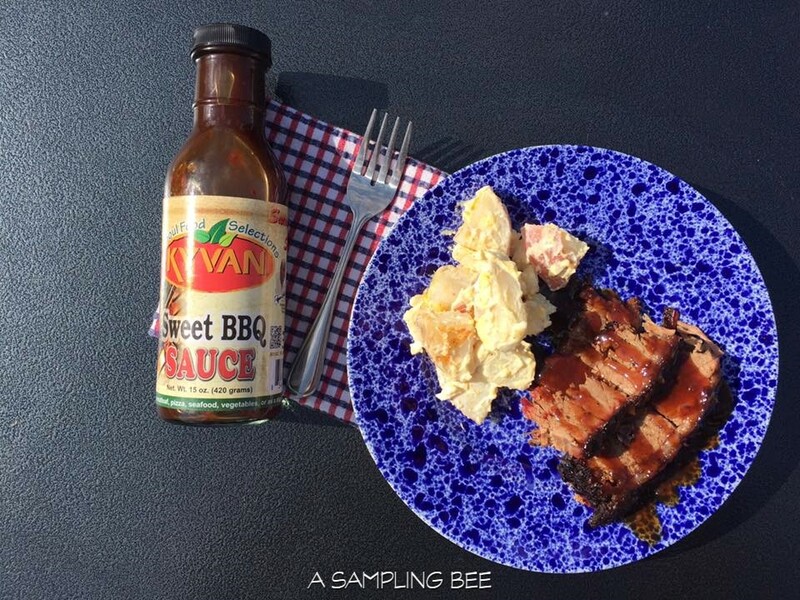 Oh my goodness.. the brisket and the Sweet BBQ went to well together. I also made homemade buffalo wings so I can try Kyvan's Original Hot Sauce. Yum!! The hot wing sauce had a spicy kick to it. Really good! I really enjoyed cooking and marinating with Kyvan Sauces. 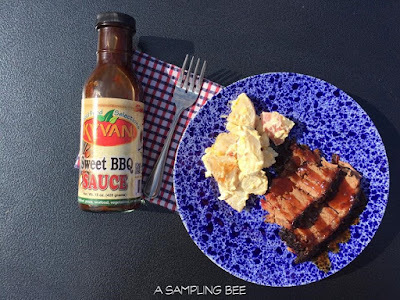 Great southern BBQ sauces that are great for all kinds of food! 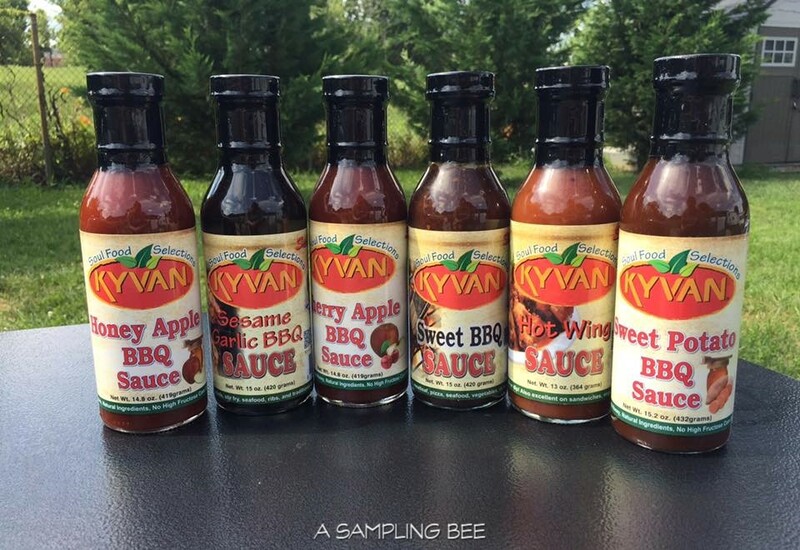 If you could try any of Kyvan's Sauces, which would you like to try? I recommend Kyvan's Sauces for all of your BBQing needs! Delish! I received Kyvan Sauces in exchange for my review. All opinions are my own. Always!